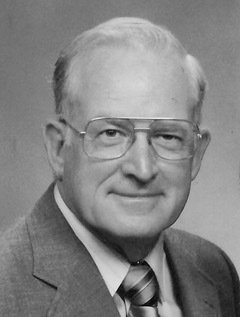 Luther "Tommy" R. Carroll Jr.
Luther R. Carroll, Jr., 90. also known as Tommy, was born in Kenansville, North Carolina on September 10, 1928, to parents Luther and Martha “Mutt” Bryan Carroll. Shortly after turning 19 years of age, Luther enlisted in the Army Air Corps in October 1947. At the age of 31, he rose to the top one-percent of the enlisted force, being promoted to the highest enlisted rank of Chief Master Sergeant on December 1, 1959. This achievement is on record as being the fastest rise to the top enlisted rank in Air Force history. He was a patriot who loved his country and his service often took him overseas to places like Greenland and Japan. He proudly served just short of 23 years of active duty, retiring from the Air Force on 1 August 1970. Simultaneously while teaching, Luther’s youthful agricultural roots echoed and he became a cattle farmer. His specialty was selling sides of beef to individual families, many claiming he raised the best steak they ever tasted. Luther loved his community, having proudly served in many positions too numerous to mention, assisting organizations, including Rones Chapel United Methodist Church, Southern Wayne Country Club, Seymour-Johnson Air Force Base, and the Tri-County Cooperative Board. Luther married Betty “Sue” McMillian of Sheridan, Arkansas on December 19, 1950. After 62 years of marriage, Luther lost the love of his life; Sue passed away October 30, 2012. He was also the last surviving sibling, having two sisters, Frances and Grace, and one brother, Jack, who all preceded him in death. He is survived by two sons, Steven Greg Carroll and Douglas Wayne Carroll. Greg resides in Durham with Anita, and they have two grown children, Tyler and Lauren. Doug lives in Mount Olive with Karen and they have two grown children, Travis and Kristen. He is also survived by a very dear friend, Emma Jean Scott, and cherished cousins, nieces and nephews. Service will be held at 2:00 pm on Saturday, March 30, 2019 at Rones Chapel United Methodist Church, 138 Garner Chapel Road, Mount Olive, NC. Following the service, the family will receive visitors during a reception in the Rones Chapel UMC Fellowship Hall. Chief Master Sergeant Luther Carroll will be interred at Arlington National Cemetery along side Sue. In lieu of flowers, donations may be made to Rones Chapel UMC. Shumate-Faulk Funeral Home and Crematory is serving the Carroll family and online condolences may be sent to www.shumate-faulk.com.